After finding a secondary cancer under my arm in 2011, there was a prolonged search over weeks and months to find the primary cancer. As the doctors did not have all the answers quickly, I did much research myself. 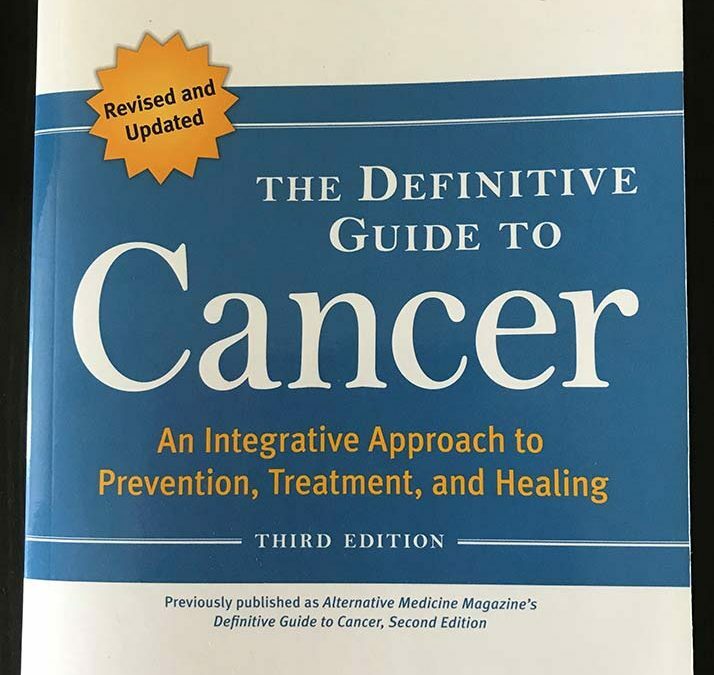 “The Definitive Guide to Cancer” is the best of the many books I have read on the subject. Why do I like it so much? It is comprehensive, scientific, easy to use because it is very well organised and extremely practical. It helps you counteract the nasty side effects of chemotherapy and other cancer treatment drugs. The authors are Lise Alschuler and Karonlyn Gazella. Lise is a qualified and experienced ND (natural physician/doctor) and FABNO (Fellow of the American Board of Naturopathic Oncology). 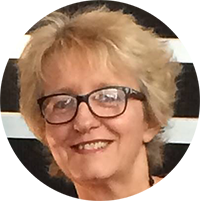 Karolyn has many years experience as an author and publisher in natural health. Both authors have experienced cancer personally. The illustrious editorial advisory board consists of ten highly qualified doctors in the fields of natural health, traditional western medicine as well as medical and radiology oncologists. 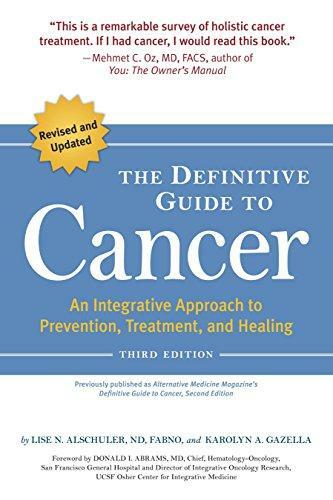 This book was an integral part of my treatment for cancer. The first parts go through the causes of cancer and overviews of conventional, alternative, complementary and integrative treatments. The third part explains key body functions that can play a part in contributing to and in recovering from cancer. The fourth part addresses 21 specific cancers. 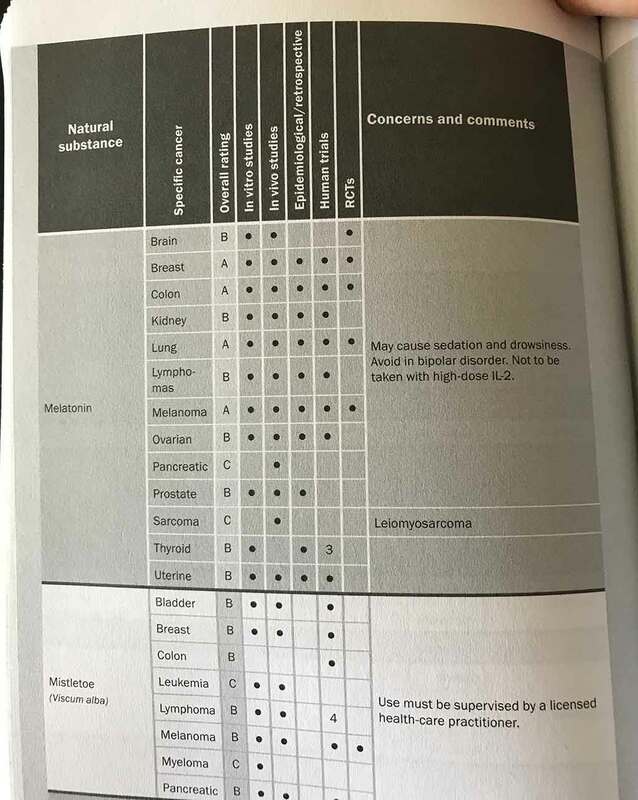 This chart shows helpful nutrients and herbs and those to avoid. 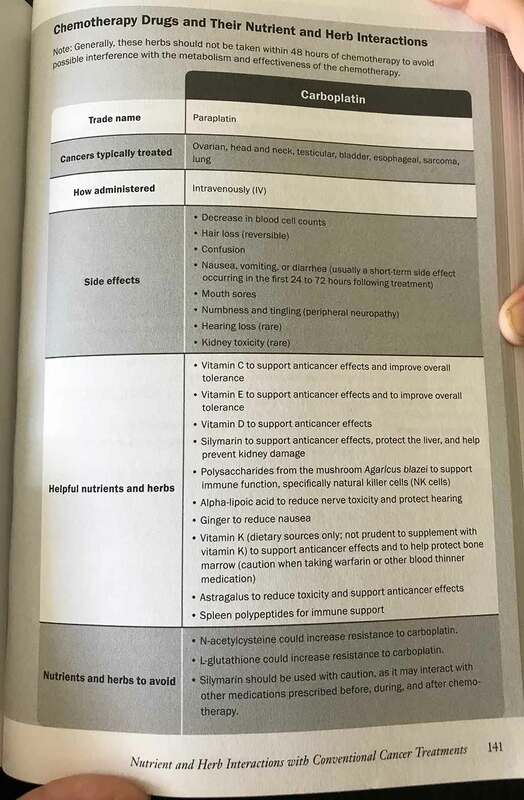 There is also an appendix showing dosage. 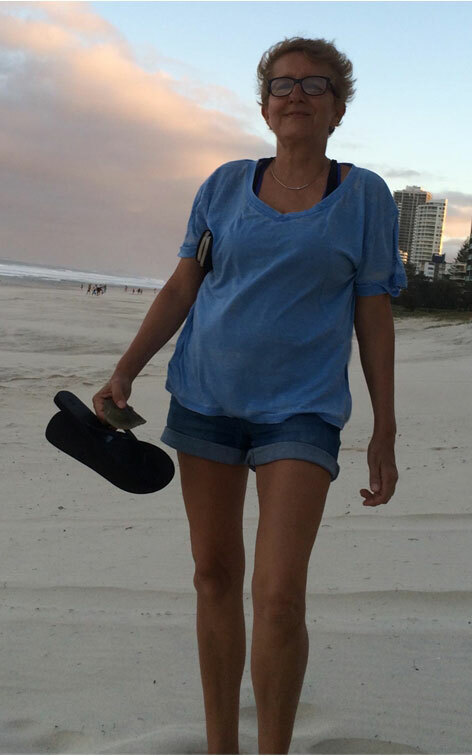 My experience with cancer gave me a very keen interest in nutrition and is what led to creating Vitamin Inspector.